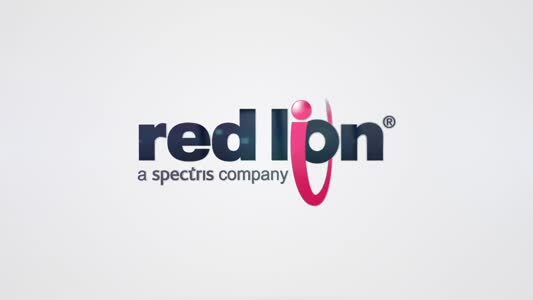 Spirits company, Edrington, is replacing the ends of its refill casks with ends toasted in a purpose-built infrared heating system from Heraeus Noblelight. Available from Switchtec, Sirena’s TWS range of light towers provides visual and/or audible indication of the status of a wide variety of process machines, vehicles, lifts and other factory and industrial equipment. TWS is Sirena’s most complete range of modular and multifunctional stacklights engineered for the automation industry. The new 2019 product cataloguess from Bicker Elektronik are available online and as a free print version. FiDUS Power has announced two new series of industrial and medically-approved, 600W configurable power supplies, believed to be the world’s smallest. Ultra-compact, lightweight and powerful, the new supplies measure just 3” x 5" and weigh only 600g. Manufacturer of 3D sensors for quality inspection and measuring technology, SmartRay has launched a new addition to its ECCO sensor family, optimally balanced for the diverse application requirements of consumer electronics manufacturing. Available from Cupio, Explorer One delivers clear x-ray images enabling users to quickly determine the solder quality of products; market leading image quality makes it quick and easy to locate and qualify potential defects and make pass/fail judgements. Following the release of a Health and Safety Executive (HSE) report which found that the printers can create harmful emissions, Kora 3D, one of the UK’s leading manufacturers of FFF/FDM style desktop 3D printers, has developed a universal safety cabinet to protect 3D printer users. The KDS-FB cable entry system available from OEM-Automatic is designed to be used with flat cables commonly used in the forklift, crane and elevator industries. AMETEK Programmable Power has added two new models to its Asterion line of AC power sources. The Asterion 4503 supplies AC and DC output power up to 4500VA or 4500W, and the Asterion 6003 supplies up to 6000VA or 6000W. The Schmersal Group will be demonstrating its new HDS switchgear series for heavy industry at bauma 2019 in Munich, the specialist trade fair for the construction machinery sector. ContaClip has added a transformer terminal for wire cross-sections up to 16 mm² to its TKS series. The terminals are used to adapt coil ends to screw connections to implement power supply of specific devices or machinery in a larger system. Their hinged cover elements open wide and can be fixed in place when opened to enable comfortable, time-saving soldering of the coil ends. Tough and highly versatile, Rolex’s new profiPANEL command enclosures offer an economic solution for housing machine control equipment. Flexicon has launched a new range of easy-fit, abrasion rings designed to reduce wear and extend the life of non-metallic, corrugated flexible conduit. With the new KT-M cable grommet from icotek, the built-in plugs and installation jacks are integrated directly into the icotek cable entry strips KEL, KEL-U or KEL-ER. New HDC inserts with the innovative Quick Termination connection system from Weidmüller are claimed to be revolutionising the wiring of heavy-duty connectors. Efficient wiring with the Quick Termination connection system for stranded wires without crimped-on wire-end ferrules. Available through Motion Control Products are magnetic encoders (magnetic sensing heads and scales) for length, rotary and angle measurement systems from Bogen Electronic. TE Connectivity is teaming up with Yamaichi Electronics to produce and promote a new design of push-pull M12 circular metric connector with an inner locking design for various industrial applications. After five years in development, Rittal has launched its new VX25 large enclosure system at this year's Hannover Messe. Embracing Industry 4.0 philosophies in terms of both application and manufacture, it has been fully developed to meet requirements for increased productivity in control and switchgear manufacturing. Fortress Interlocks helps customers protect their personnel and capital assets. The company has over 40 years of experience in the safety market, designing and manufacturing safety access and control systems from its headquarters in Wolverhampton, UK. Frameless torque motors offers high performance, and simple installation and can be embedded directly in your machine design. The PNOZ m B0 base unit is an energy efficient safety controller that uses up to 80 % less energy than comparable products.